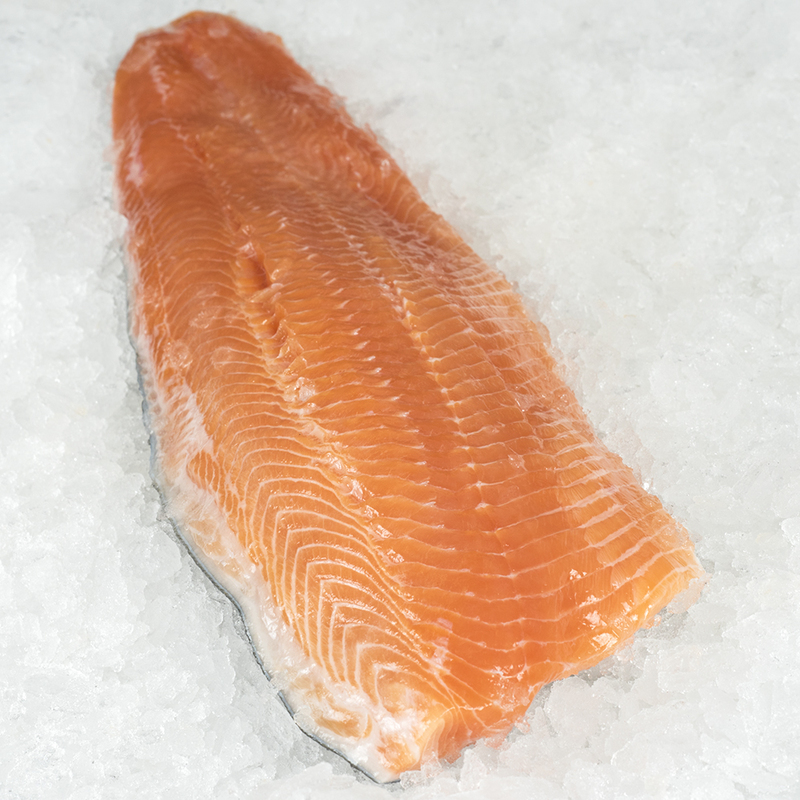 Arctic char is a member of the salmonid family, with trout and salmon. Char is similar in appearance to salmon but tastes more like trout. The flesh is moderately firm, yet very flaky, and the color ranges from light pink to dark red. The fish has a high fat content and can be prepared in many ways, but the skin becomes tough when cooked and should be removed before serving. Arctic char are found in the northern reaches of the European, Asian and American continents as well as Greenland and Iceland. While there are some wild fisheries, the majority of arctic char are farmed in Canada and Iceland. While some populations of arctic char are anadromous, spending their adult stage in the ocean but returning to freshwater rivers and lakes to breed, other populations are landlocked and remain in fresh water during all stages of their life. This adaptation has made possible land-based aquaculture of char in fresh water. They are raised in closed systems, which greatly reduce the risk of pollution, disease outbreaks and escapes. Wastewater is generally treated before release. Char are a carnivorous fish and do require protein and oil in their diet for proper nutrition, but the feed industry is seeking ways to shift diets to land based proteins and oils to reduce their dependence on wild fish harvest.